Jordan is one of the countries in the world most affected by the Syrian crisis. In 2018 there were more than 650,000 Syrian refugees living in Jordan and over 80% of those live below the poverty line. The dire financial situation of the refugees has contributed to in an increase of early and forced marriages amongst the Syrian refugee population. 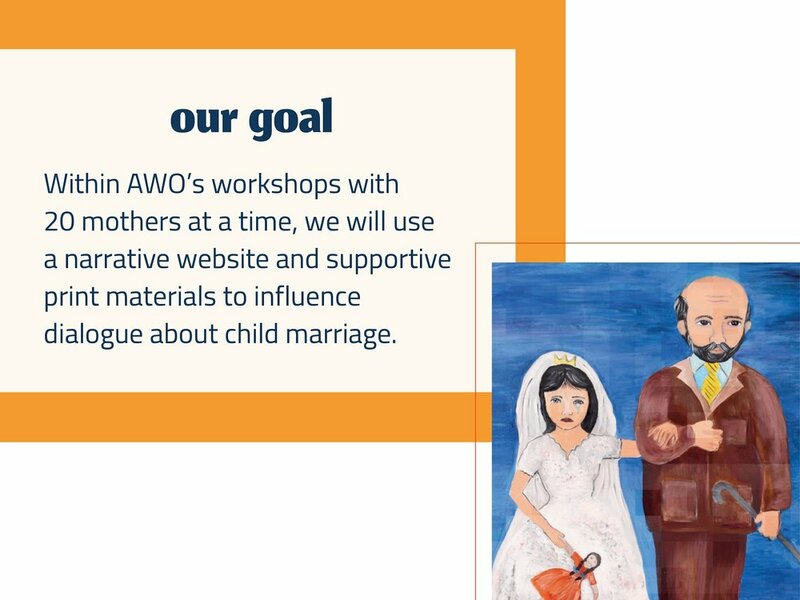 AWO work extensively with both Syrian and Jordanian communities to reduce the number of early and forced marriages. Prior to attending the workshop AWO had little experience working with data in-house, so at DATA4CHANGE they were taught how to use publicly available data on the topic as well as the data they had collected through their own outreach work to generate and influence dialogue about child marriage amongst the large Syrian refugee community in Jordan. 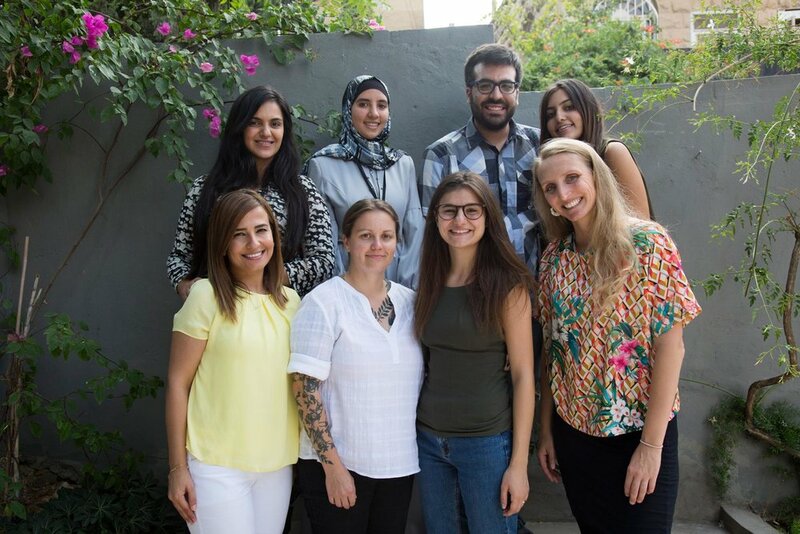 The team used a number of narrative reports that AWO had produced that contained case studies and stories, and combined this with data from a variety of sources including Department of Statistics, Higher Population Council Jordan, International Centre for Missing and Exploited children, and more. One of the biggest takeaways for the CSO representatives during the workshop was that it is ok to use and cite open data in your advocacy work, something that they did not know was allowed. AWO run face-to-face workshops and sessions with Syrian refugee women and their daughters across Jordan. The AWO team wanted to create digital and printed material to that AWO could use during their existing workshops that the women who attend could then share with friends and family. They wanted the Syrian refugee mothers to discuss different scenarios and risks surrounding child marriage through roleplaying and decision making that was informed by the data on the topic. The product that the team created at the workshop is called "Don't make her a bride" with the tagline "champion your child's future". It is a interactive scrollytelling quiz which allows the user to explore a story of Amal, a 14-year-old girl. At the workshop the team also suggested that the digital campaign would also be developed into a printed product that the mothers and daughters could use during the sessions as well as take home and share with their family and friends. After the workshop DATA4CHANGE worked with AWO to see how they wanted to proceed with the concept and prototype that was developed at the workshop. AWO was taking part in the global 16 Days of Activism project, and they wanted to used the concept that was created at the workshop for national campaign for this event. Because AWO only had a few weeks to produce a product in time for the 16 Days of Activism, it was decided that there wasn’t enough time to finish the development of the digital prototype. Instead they expanded the concept and produced a really strong printed product as well as supporting printed and digital promotional material. The creative team’s graphic designer Farah from Egypt was paired up with Saja, a Jordanian designer who also attended the Amman workshop. Together they met with AWO and scoped out the project. They have created a storybook that will function as a workshop prop and will be used by pairs of mothers and daughters in read-aloud sessions hosted by AWO. They also created a promotional poster, handouts for the workshops that attendees get to keep as a reminder of the experience, as well as some social media content derived from the book to promote the campaign and create general awareness.